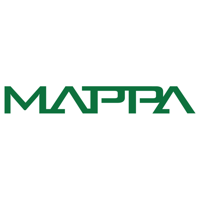 MAPPA is renowned for its commitment to producing high quality animation and is the creative studio behind such hit works as Kids on the Slope, Terror in Resonance, Rage of Bahamut: GENESIS and YURI ON ICE. In 2016 they released the critically acclaimed film In This Corner of the World garnering numerous accolades including the Kinema Junpo Award for Best Film of the Year as well as the Japan Academy Award for Best Animated Film. They aim to create works with a broad global appeal that can move audiences regardless of age, gender, language or culture. As a studio MAPPA is constantly seeking out new challenges and takes an uncompromising stance in their pursuit of new forms of expression through animation.